Greetings. I hope this message finds you and your family well. 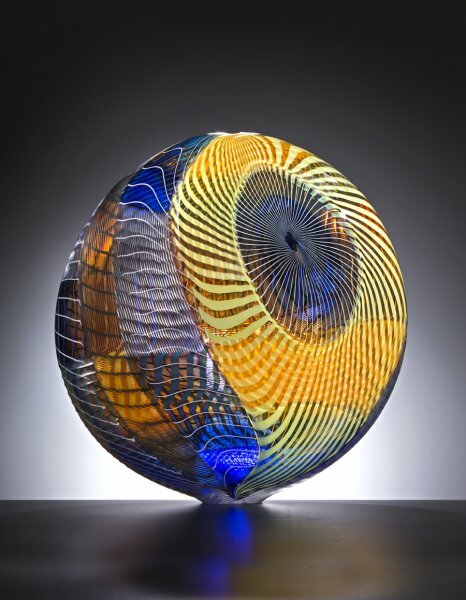 I am happy to share some wonderful artwork with you this month by some of my favorite glass artists. I look forward to hearing from you with any questions or comments you might have. Take care and enjoy the spring weather. "Glassblowing is an animal unto itself. It requires skill, knowledge, physical strength and respect." I have just been given access to a large collection of secondary market pieces. There will be a special edition of Holsten Galleries News with all of the details. This is one of the most painterly and subtly elegant works by Lino I have had the honor to show. Its overlaying shades of blue combine with various styles of surface cutting and intricate cane work patterns to create a true masterpiece of glass art. 27.5" x 9" x 9"
This piece combines Stephen’s mastery of the murini technique with a very interesting form. The box-like bottom part of the piece narrows to a graceful slim neck which is its perfect counterpoint. As is usually the case, Stephen’s use of rich and dramatic colors results in a work that is a joy to behold. Latchezar Boyadjiev is truly a sculptor in glass. 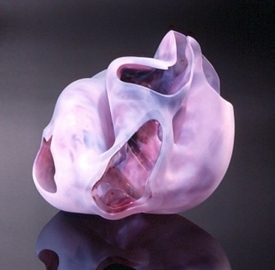 His abstract interpretations of the female form are perhaps unsurpassed in the world of contemporary glass art. Torso VII is a prime example of the subtlety with which the artist refers to the human figure in a refined and understated manner. This new piece in Nancy’s "Orb" series strikes me as a celebration of life on the planet. It is so warm and colorful and sunny. The black, yellow and white canes swirl around this globe in a lyrical and graceful pattern and the buttery gold color adds to the exuberance of this lovely piece. This beautiful piece is from Marvin’s well known Crystalex series. The rich coloration combines with the organic form to create a harmonious whole. 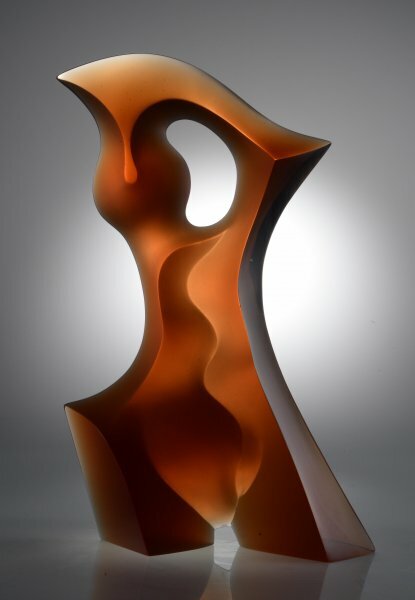 I have always admired Lipofsky’s use of negative space and never more so than in this glass sculpture. This is Chihuly’s most recent addition to his lithographs. In case you have not recently seen the entire collection of Chihuly prints, you might want to take a moment to have a look. They have all of the dynamic qualities that have made his original Drawings popular with both collectors and art museums.